Synopsis: In Ancient Greece 1200 B.C., a queen succumbs to the lust of Zeus to bear a son promised to overthrow the tyrannical rule of the king and restore peace to a land in hardship. But this prince, Hercules, knows nothing of his real identity or his destiny. He desires only one thing: the love of Hebe, Princess of Crete, who has been promised to his own brother. 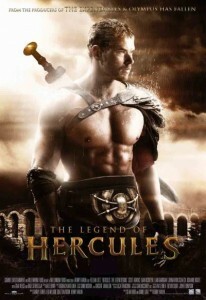 When Hercules learns of his greater purpose, he must choose: to flee with his true love or to fulfill his destiny and become the true hero of his time. The story behind one of the greatest myths is revealed in this action-packed epic – a tale of love, sacrifice and the strength of the human spirit.